Outfit your CS Series with a Field Option Cab to protect you from the elements and keep you warm all winter. 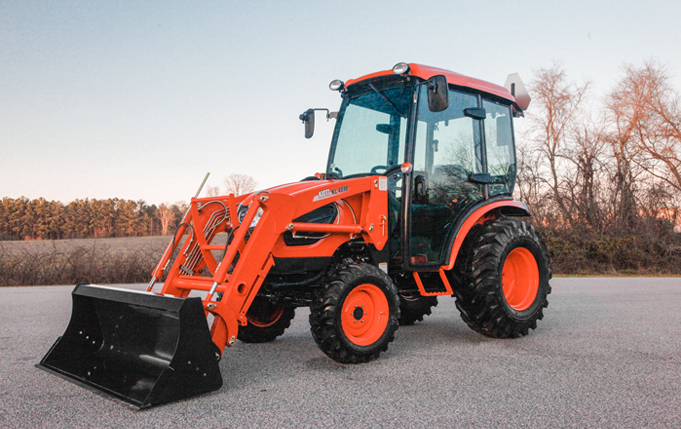 KIOTI CS Field Cabs feature forced air heat, windshield wipers with washer fluid switch, front work lights, turn signals with side clearance lights, side view mirrors, opening front/rear windows and more! *Backhoe cannot be installed while using the CS Field Cab. Outfit your CK10 Series with a Field Option Cab to protect you from the elements and keep you warm all winter. 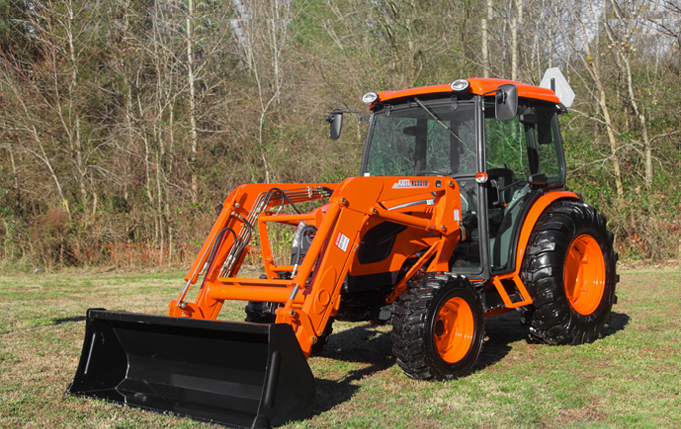 KIOTI CK10 Field Cabs feature forced air heat, windshield wipers with washer fluid switch, front work lights, turn signals with side clearance lights, side view mirrors, opening front/rear windows and more! Outfit your DK10 Series with a Field Option Cab to protect you from the elements and keep you warm all winter. 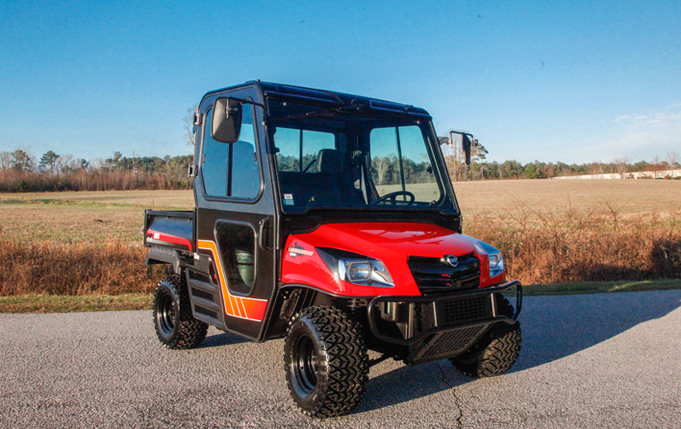 KIOTI DK10 Field Cabs feature forced air heat, windshield wipers with washer fluid switch, front work lights, turn signals with side clearance lights, side view mirrors, opening front/rear windows and more! Outfit your MECHRON 2200/2200PS with a Field Option Cab to protect you from the elements and keep you warm all winter. 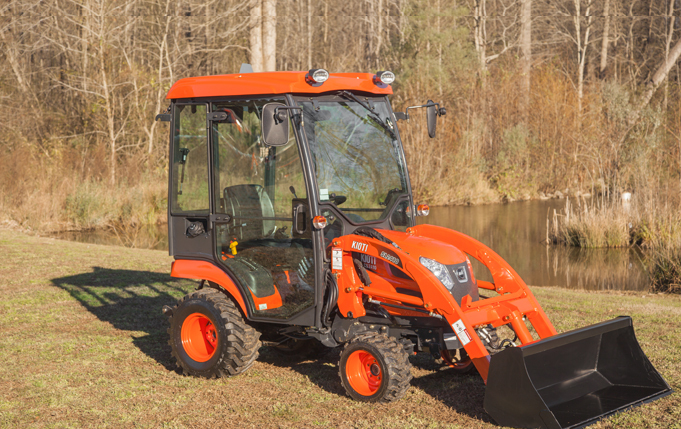 The KIOTI MECHRON 2200 Field Cabs feature front window wipers with washer fluid switch, side view mirrors, opening front glass and sliding side & rear windows. Options include front working lights, turn signals with side clearance lights and more!